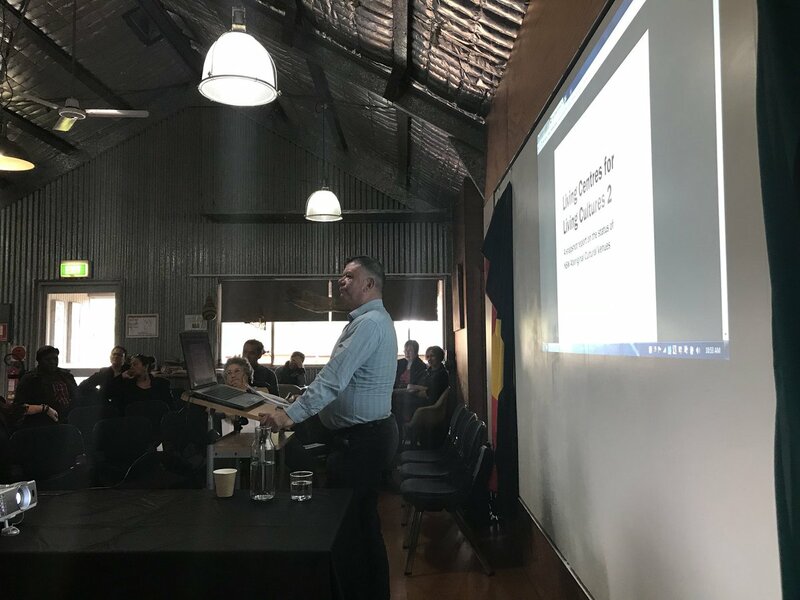 There was plenty to discuss among the 60 or so people who attended the two-day Living Centres for Living Cultures Conference at the Muru Mittigar Aboriginal Cultural Centre in Sydney’s north west. The conference kicked off with a presentation of Living Centres for Living Cultures 2, a report on the status of NSW Aboriginal Cultural Venues, produced by Museums & Galleries of NSW for Create NSW. The report provides a snapshot on the current status of the Aboriginal cultural venues in NSW. The 108 page report identifies 43 Aboriginal cultural venues across the state but notes that the open or closed status as well as the qualifications for an Aboriginal owned venue can vary. The five Language and Culture Nests funded by the Department of Education for instance might deal with intangible knowledge and heritage but have yet to fully realise their ambitions as Keeping Places for tangible assets that would attract visitors. There are also a range of place-based Aboriginal artist initiatives, 10 of which were identified in the report, that might operate workshop spaces and occasional galleries, social and educational programming, cooperatives and not-for-profit gallery spaces alongside other initiatives within Aboriginal Land Councils or other organisations. In presenting the report, M&G NSW”s Aboriginal Programs Manager Steve Miller said it was the seven Aboriginal Cultural Centres, three Knowledge Centres, and three Museums that demonstrated the most diverse engagement with their own Aboriginal communities. The Keeping Places, generally as more conventional collection holders, had a more static engagement. All the research says tourists want an authentic Aboriginal experience, that is, the engagement with local Aboriginal people. Even so, the report highlighted significant changes across the sector both at the legislative level and within centres themselves. A significant number have moved premises, changed their governance or moved through cycles of temporary closures in the past 18 months. Chief among the report recommendations was a call for a direct organisational funding stream to provide stability and the opportunity for strategic development towards greater sustainability. The conference attracted members of the Aboriginal Culture, Heritage & Arts Association (ACHAA), managers and directors of the Aboriginal cultural centres, Keeping Places, Aboriginal museums, galleries and knowledge centres from across NSW, as well as government stakeholders including Create NSW, Museums & Galleries of NSW, Aboriginal Affairs, the Office of Environment & Heritage, Destination NSW, the Department of Education and collecting institutions such as the State Library of NSW, Australian Museum and the Museum of Applied Arts and Sciences. 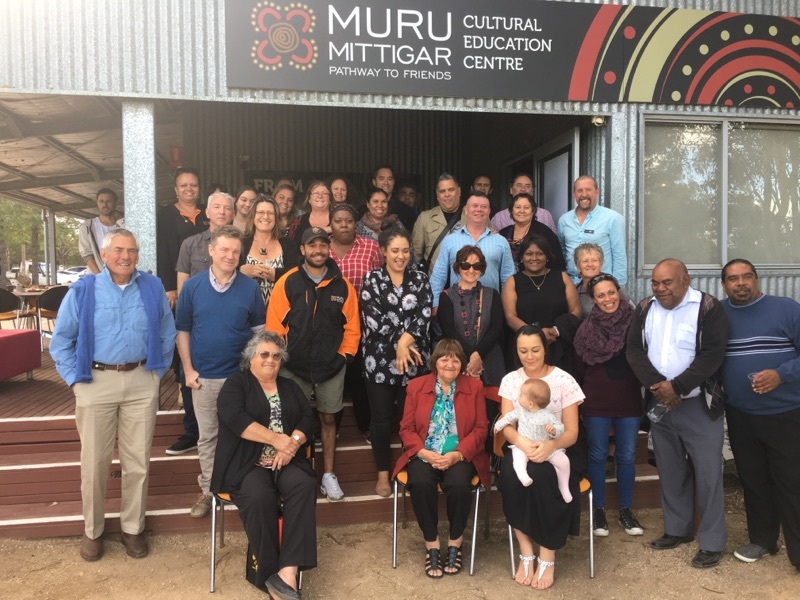 Aboriginal delegates came from as far as Bourke, Walgett, Tweed Heads, Armidale and Deniliquin to attend the conference, which also provided an opportunity to launch the exhibition From our place: an exhibition from NSW Aboriginal cultural centres at Muru Mittigar. The ACHAA exhibition, produced with support from Museums & Galleries of NSW is on the last leg of its NSW tour and will stay at Muru Mittigar until 23 February 2018. 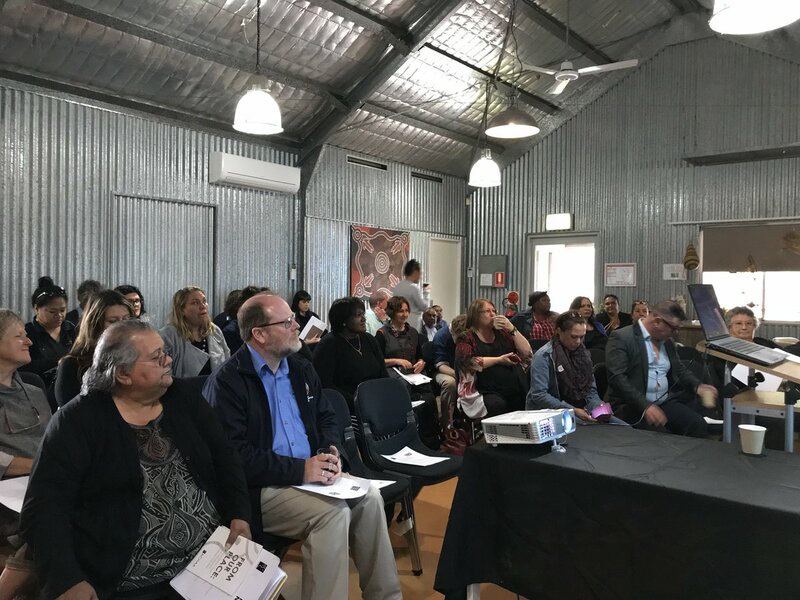 The conference was organised by ACHAA and Museums & Galleries of NSW, which provides secretariat support to ACHAA, with additional support from the host venue Muru Mittigar Aboriginal Cultural Centre and Sydney Living Museums (SLM), as Muru Mittigar is located within the grounds of SLM’s Rouse Hill Farm. The exhibition development, tour and the conference were funded by Create NSW.